Can Rug Gripper™ cause harm to my hardwood floors? 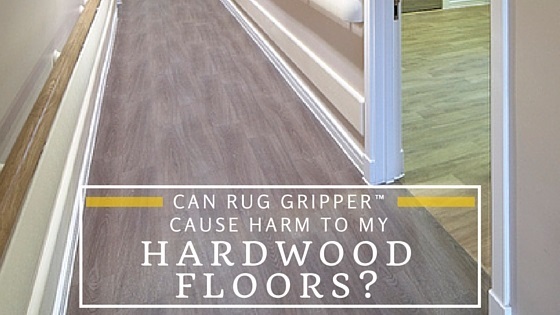 Occasionally, customers ask us whether Rug Gripper has the potential to harm hardwood floors. Since Rug Gripper is made using a water-based adhesive, there is no danger to hardwood floors. If, when you're ready to remove or replace the Rug Gripper strips, you feel that they are too firmly adhered to the floor, simply spritz with water and they will release more easily.